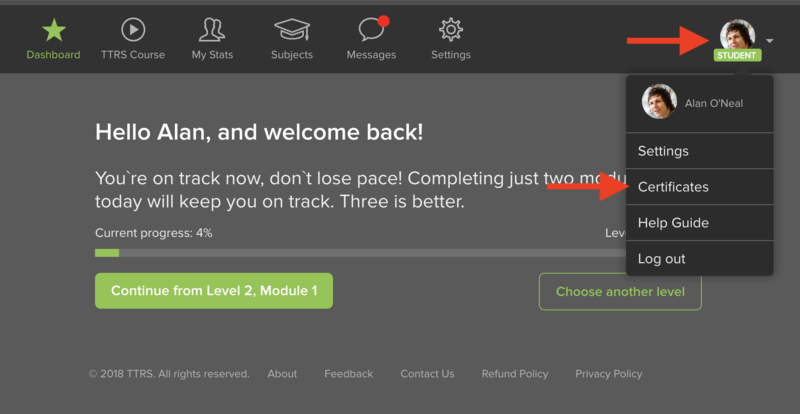 Custom certificates can be generated to motivate students and reward progress in the TTRS course. Certificates can be sent digitally by email or printed out. 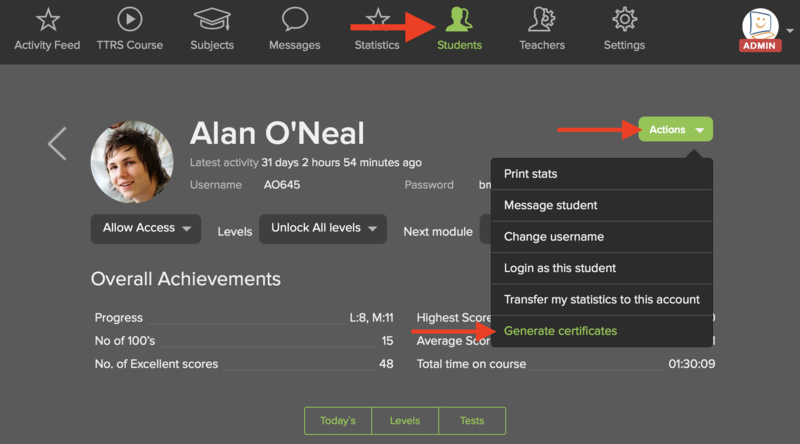 Progress certificates display the most recently completed level and module and can be generated at any time - for example, at the end of a school term. Level certificates are unlocked when a level has been completed. There are 24 level certificates to be collected. The course completion certificate is available when all 24 levels have been completed. You can generate a certificate from the Administrator account or from the student account. Log in as the administrator, click Students on the top menu and click on a student. Log in as the student and select Certificates on the dropdown menu. 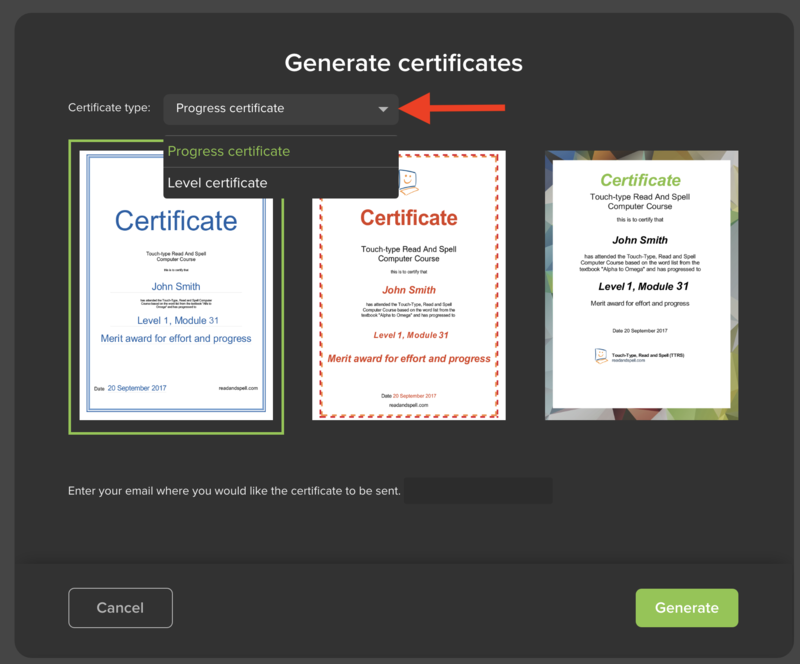 Select Certificate type to choose between a Progress certificate and a Level certificate. Note: For the Level certificate option to appear, the student will need to have completed at least the first 31 modules of Level 1. You can also choose between three different designs. 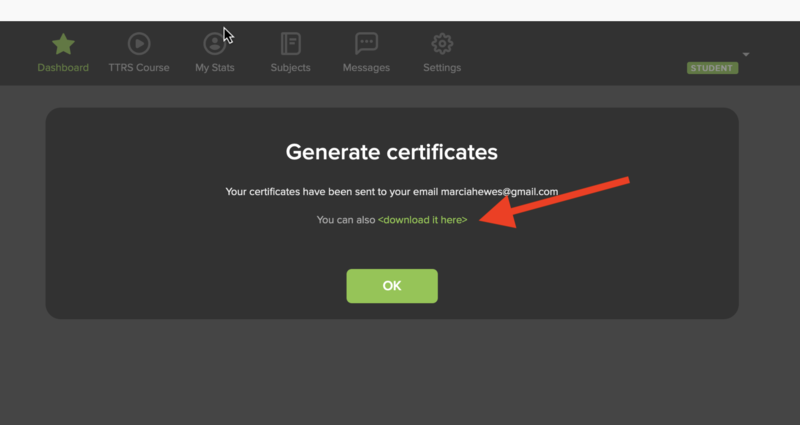 Enter the email address for the certificate to be sent to and then select Generate. The certificates will be sent to the specified email as a ZIP file. If you don't receive them, please check your junk or spam folder. You can also download the certificate by clicking <download it here> after you have generated the certificate.